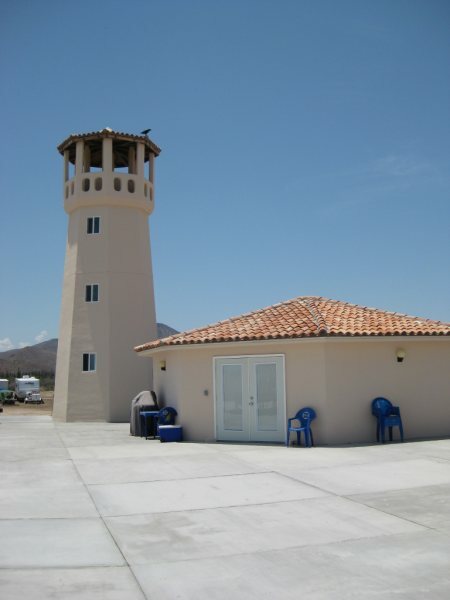 BajaNomad » Baja Questions & Answers » Rooms to rent in Bay of Concepcion? Author: Subject: Rooms to rent in Bay of Concepcion? Rooms to rent in Bay of Concepcion? I will be bringing my RV up to one of the Concepcion beaches in February and my friends would like to come along. I have been to the Bay many times with my RV but never have looked into a room for rent. I don't believe Santispac has anything but do any of the other places have an RV spot and a hotel/motel/room close to the RV spot that is on the water? I know about Mark and Olivia' but not sure the condition of their rooms lately. Anyone have a small house on the water they would like to rent out for around 3 days for 2 adults? Check out the front page, I asked the same question 2 days ago. A couple answers so far. Not fussy but would like to be right on the water. If you didn't see the other thread with the similar question, one option was Playa Buenaventura with both the former hotel rooms (some) and rental homes available. Owned by Mark & Olivia. There is also the very nice Playa Frambes Lighthouse Resort with two bedroom casitas and a freshwater swimming pool. The beach in front is not sand, however. Owned by Nomad 'Bob & Susan'. Another option are the cabins at Los Narranjos beach. Photos in my Trip #2 report from 2017.
where is Playa Frambes Lighthouse Resort? See my photos when we were guests of Bob & Susan for our first anniversary: http://vivabaja.com/709/page3.html and the following page.